Stash Hotel Rewards The rewards program where members can earn and redeem for free nights at one of a kind independent hotels. Earn 5 points for every dollar spent on eligible room rates. No blackouts and points never expire. Its free and easy to join. Go to www.stashrewards.com The seacrest oceanfront hotel is the place to stay. Any season. Any reason. 5 acre property sits atop a bluff along californias beautiful central coast in pismo beach midway between los angeles and san francisco. With year-round temperatures ranging from 66 to 84 degrees and an average of 315 days of sunshine each year the area is one of the most popular destinations for beach getaways and offers 23 miles of coastline with some of the best beaches in the state. The seacrest oceanfront hotel features direct beach access with our own staircase to the sand. Guest rooms feature newly designed contemporary furnishings with a modern retro vibe king or queen size plush-top mattress beds a spacious work area and all have either a balcony or patio. Other amenities include an expansive manicured lawn and oceanfront terrace a breakfast terrace equipped with firepits five bbqs for guest use an outdoor heated pool three hot tubs and our fourth-story rooftop terrace with panoramic views. While the sand and surf are a major attraction there are many more fun activities in this classic california town. Within walking distance of the seacrest oceanfront hotel is the famous pismo pier and downtown area with shops and restaurants. Outdoor enthusiasts will find an endless array of activities including golf fishing horseback riding atving kayaking surfing jet skiing and boogie boarding. Nature enthusiasts will love the monarch butterfly grove whale watching from the breakfast terrace or rooftop terrace. Morro bay estuary piedras blancas elephant seal rookery in san simeon. Rosas italian restaurant: Location- 491 price street pismo beach. 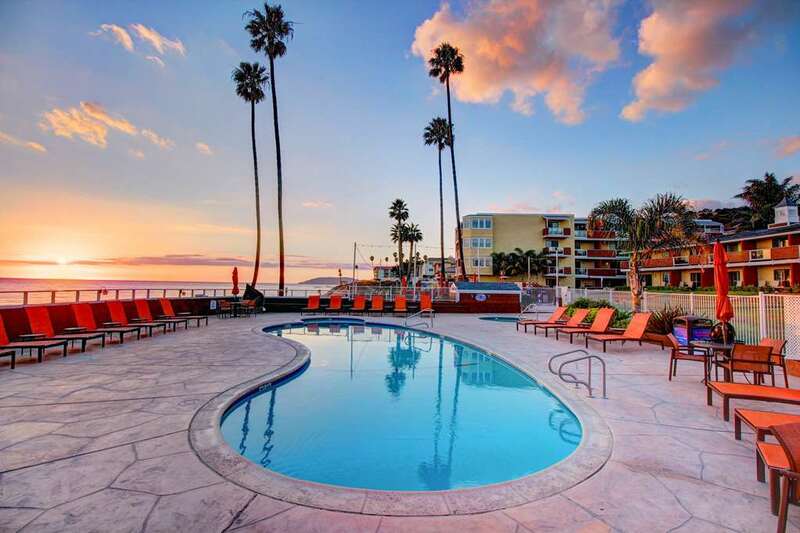 The seacrest beach hotel is located in the heart of the central coast wine country surrounded by the world-class wineries of paso robles edna valley and santa barbara. California Polytechnic State University San LuisCal Poly is a nationally ranked four-year comprehensive public university located in San Luis Obispo California. The emphasis of the University is a learn by doing educational experience for its more than 18000plus students. Hearst castleHearst Castle is a palatial estate on the central California coast and a National Historic Landmark. It was designed by architect Julia Morgan for newspaper magnate William Randolph Hearst from 1919 until 1947.